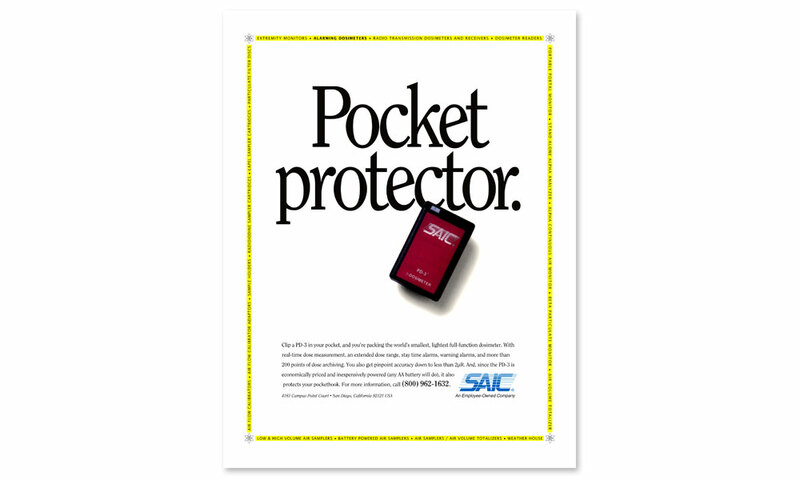 When it came to detecting, measuring, and monitoring radiation, SAIC was the best as these ads were created. 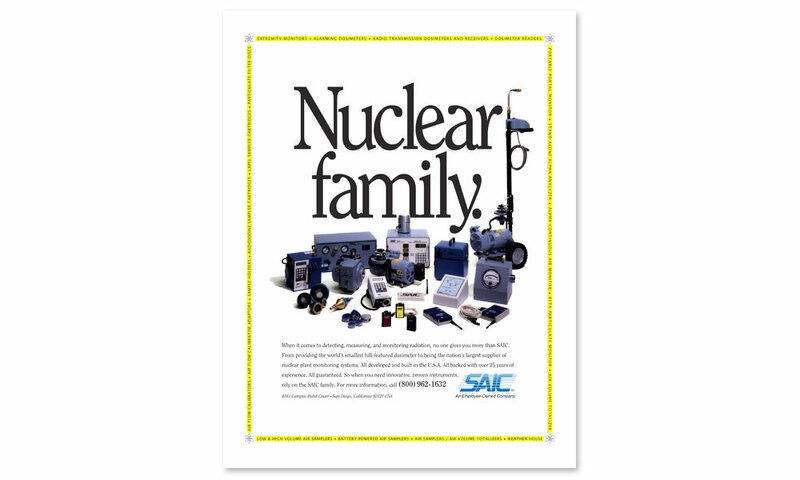 They provided the world’s smallest full-featured dosimeter and were the nation’s largest supplier of nuclear plant monitoring systems. BrainShine helped tell this story with a series of ads – first featuring the entire line-up, then selected devices were featured. 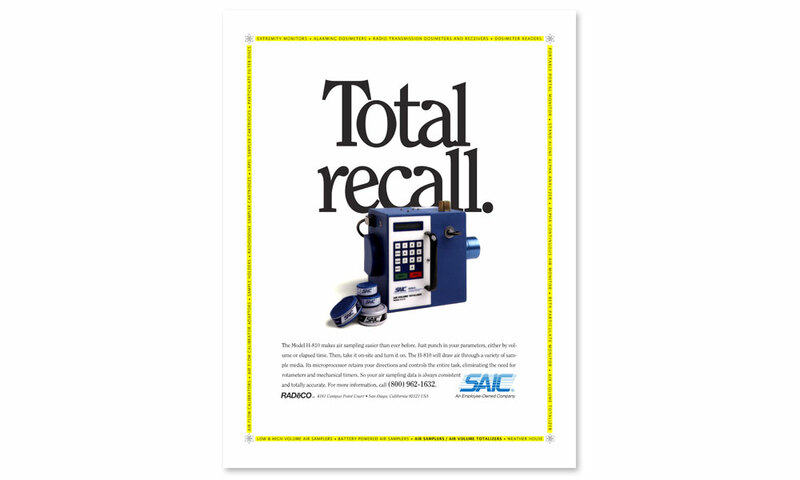 These ads were placed in trade magazines and were eventually made into posters.